Head to the upper level and get your craft on! 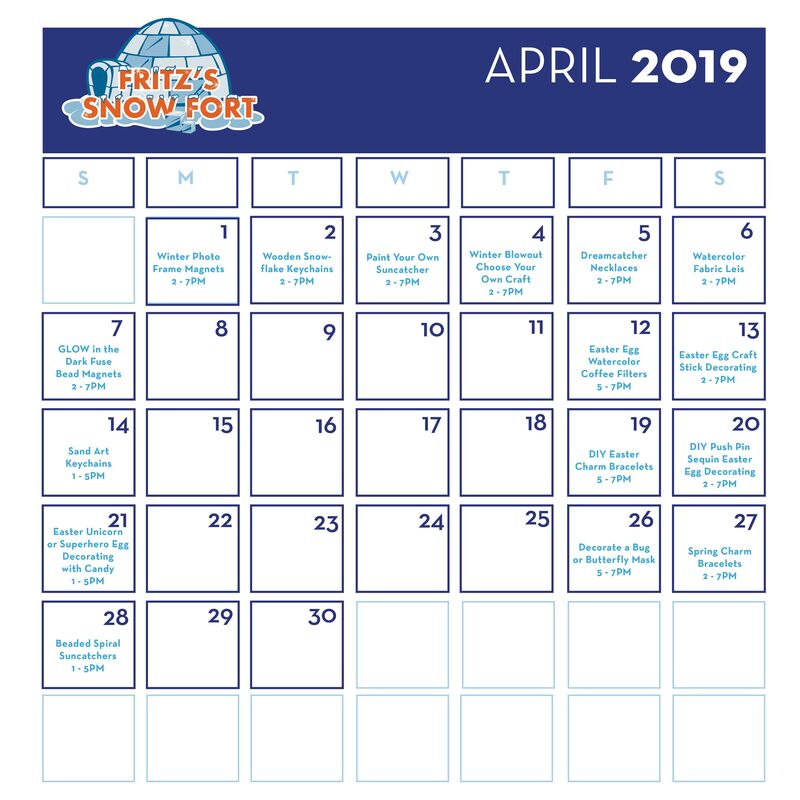 Located on the upper level of Avalanche Bay, Fritz's Snow Fort is filled with fun for splasher's of all ages! Whether you need a break from the water or the slopes, Fritz's is the perfect place to spend some quality time with your family! Amenities available to all lodging and waterpark guests! With complimentary projects scheduled daily, splashers up to the age of 12 can have fun creating cool crafts led by an art instructor. See below for this month's schedule of activities. Take the fun to the next level and choose one of our premium crafts, including ceramic painting ($3 - $7) and Sand Art ($3 - $5). Need a splash break? This fort is filled with your favorite games to entice some friendly competition, plus it has a play structure loft for the little ones. Enjoy a kid-size rock climbing wall, trains, games, and coloring galore. And don't forget a continuous stream of kid-friendly movies to enjoy! Don't forget to check out our climbing wall!